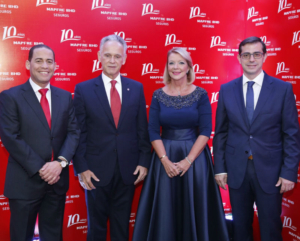 The insurer held its traditional annual meeting with intermediaries as part of the celebration of its tenth anniversary in the Dominican Republic. 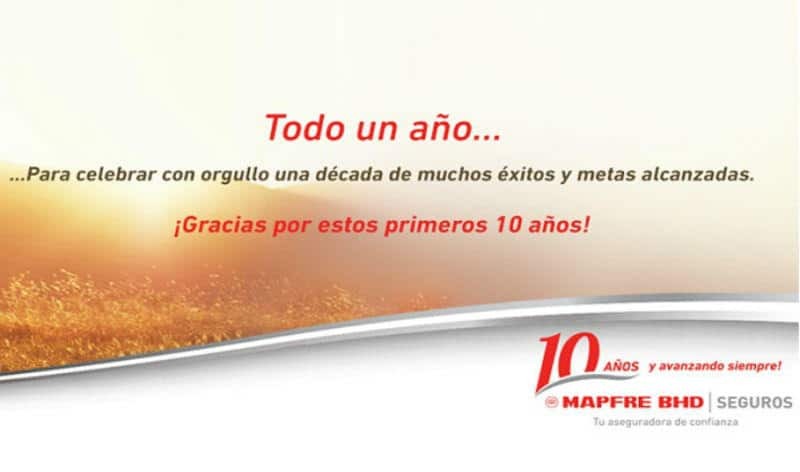 MAPFRE BHD was established in the country on January 1, 2007, which was the result of an alliance between the BHD Leon Financial Center and the MAPFRE Group. The company recently celebrated its traditional annual meeting with intermediaries for the purpose of recognizing the fastest growing companies in 2016 and presenting new challenges for 2017. The meeting was chaired by José Luis Alonso, Chairman of MAPFRE BHD, and Zaida Gabas, CEO of MAPFRE BHD, who thanked the support of those present for making the run of success recorded by the company in its first decade posible. “This meeting is extremely significant for us because we have completed the first ten years of operations of MAPFRE BHD, which has been the result of the successful partnership between the MAPFRE Group and the BHD Leon Financial Center,” expressed José Luis Alonso. Meanwhile, Zaida Gabas highlighted the efficient management and high performance of intermediaries, positioning MAPFRE BHD as the benchmark of the Dominican insurance market. In addition, the CEO presented the achievements of the past year and the strategic approach to follow in 2017. The work of the intermediaries was awarded through Programa Trébol (Clover Program), which recognizes the insurance firms that have reached the highest production and contributed most to the company’s growth in 2016.